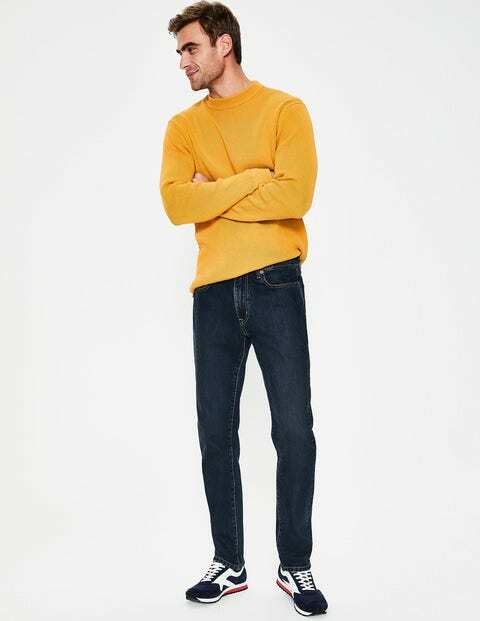 For clean, casual style, look no further than our slim-fit jeans. Crafted from our most premium denim to date, they're cut straight through the thigh with a tapered hem and have a curved waistband for a sleek, fitted look. Contemporary contrast stitching, subtle metalwork and a leather patch on the back give them that authentic look that you'll love for years to come.